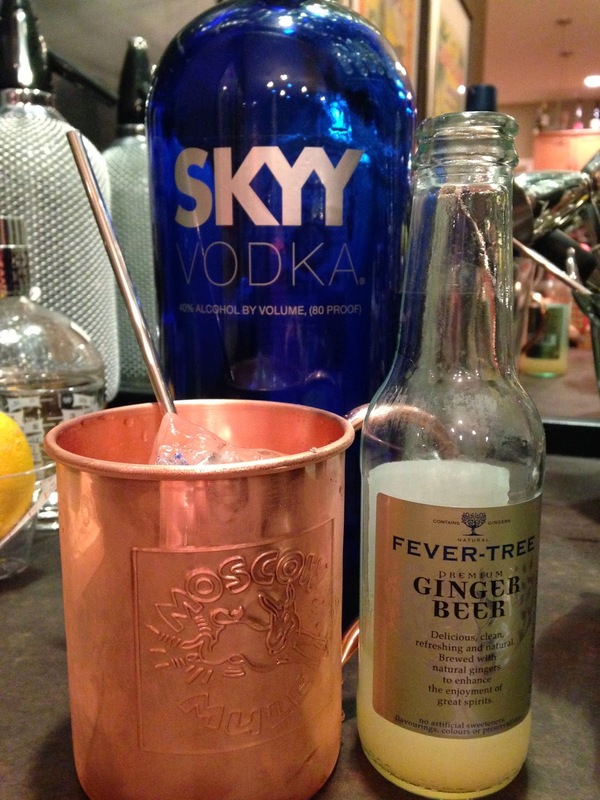 The proper glassware is an important ingredient to any cocktail, and the copper mug is a stylish and sensible way tip back a Moscow Mule. Copper keeps the drink refreshingly chilled for as long as it takes you to reach the bottom. One local restaurant told us their copper mugs are the most stolen items in the restaurant, and I was given a very stern warning upon ordering one. At $40 a pop to replace I can see how they'd be sure to deliver Moscow Mules to only the most respectable of imbibers. Gosling's is the ginger beer most associated with the Moscow Mule but I prefer mine a little spicier and a lot less artificially sweet. We're lucky to have the great local brand Maine Root, their ginger brew is sweetened with Fair Trade organic evaporated cane juice and naturally delicious. 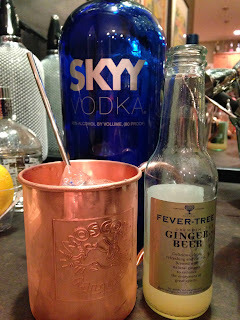 Fever Tree is my newest favorite brand of mixers, and their ginger beer is the preferred ingredient for my Moscow Mule. Especially since Mr. C&G recently had a case delivered for my birthday. It's a very clean tasting blend of three different types of ginger, responsibly sourced from the Ivory Coast, Nigeria, and India. Fever Tree also makes some award winning tonic waters, with none of the artificial and medicinal aftertaste found in the little yellow cans. You can find British exported Fever Tree at Whole Foods (alongside Maine Root) or online at Amazon. Leave it to the Brits to create the perfect T (tonic) to go with the G and the V.